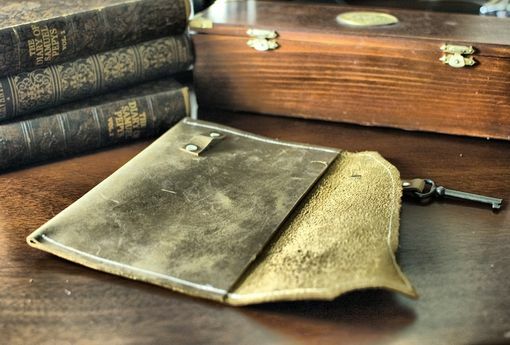 Divina Denuevo's Sheffield Leather Clutch stands out with its unique asymmetrical design and skeleton key clasp closure. Available in a variety of leather colours and textures, it's sure to be a conversation piece wherever it goes. 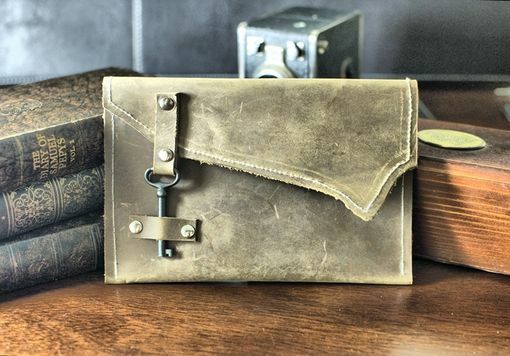 This rustic leather envelope style clutch is made with industrial grade nylon thread and features an asymmetrical flap with silver hardware and an antique skeleton key latch closure offset. Each bag has a different, unique key. Inside, there is a tag that indicates the origins of the key and where it was recovered.